The flavours are nice and bright. Careful not to over cook the pork...it's very thin. The pork was fine but didn't brown significantly for me. The lemons and capers add a nice brightness but there weren't enough of them nor enough of a "sauce" to make it really work with the pork. These are very, very fragile but have good taste. I used parmesan in them and kept the heat medium as instructed. These are wonderfully delicate but as said before fragile. Keeping the heat medium is very much the key. Oh my gracious, this is so good! One small change, however, I don't want to deal with olive pits in a summertime dish -- they're fine in a long-simmered winter stew with bones and gristle, but I use pitted olives when the livin' is easy. This is so easy & fresh tasting. Make sure you have the freshest ingredients, including the mozzarella. This is basically just grilled (or broiled) zucchini, some herbs, and some (optional) mozzarella. It's fine but nothing spectacular. These aren't really salt-roasted. They're roasted with salt for seasoning. Neither the thyme nor the garlic add any flavor to the potatoes. These taste like basic roasted potatoes. They also took a lot longer to roast than the recipe specified (closer to an hour than half an hour). Oh man this was so good. Part of what made it so great was how quickly and easily it came together--in an old cabin with very limited equipment--and the quality of the fruit. I made a quick blueberry sauce and whipped cream to serve with it as well. Will definitely make the cake again... Next time in an oven that is ACTUALLY 350 when it is set as such! A very pretty salad with loads of different textures. Despite the large quantity of chile peppers in the recipe, the chile flavor is muted and there's very little heat. The flavor is good but I expected there to be more depth to it. Stunning presentation and very tasty! The dressing was too lemony without anything to contrast with the tanginess. The emphasis is on the quality of ingredients, the rituals of cooking and the stories that come out of being a dedicated lover of food and cooking. Most of his recipes require just a little bit of work or planning – there aren’t columns of ingredients or special equipment necessary, just good home cooking. The intensity of the classic buffalo wing is tempered here...we rather prefer the defiantly untraditional...blend of paprika, allspice, cayenne, and clove to the incendiary heat of most classic wings. They were the very first thing we noshed on that afternoon...and their depth of flavor and amazing texture were the perfect bite to set the tone for a wonderful afternoon. In our speedy-global-travel-and-internet-easy-access world, these simple recipes have now become everyday foods. Whereas the menus in "A Platter of Figs" were designed to feed eight to ten with grace and ease, the menus in this book serve four to six. 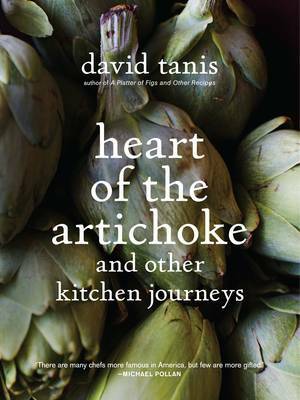 There are twenty-four menus, six per season, each of them amusingly and engagingly titled and punctuated with rich mini-essays full of information and insight. The menus are bookended by a chapter on private rituals, those treats for when you're on your own in the kitchen with no one else to satisfy, and at the other end, menus for holiday feasts.